Bounty's not the only quicker picker upper. A local couple who owned the fastest-growing franchise within the Pet Butler poop-scooping empire has quit, and the corporate office is looking for a new owner, says the Chicago Tribune. 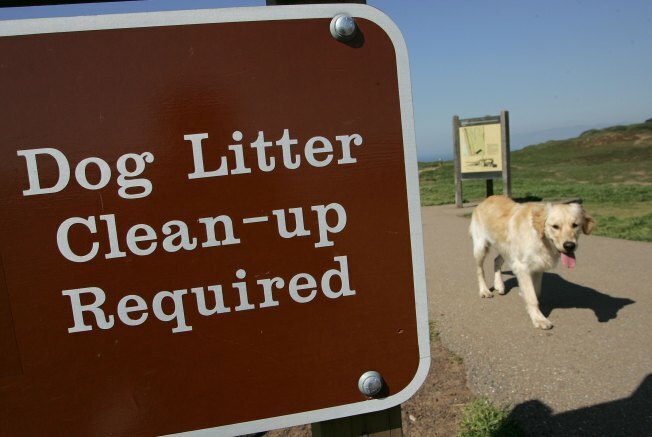 The company -- which bills itself as #1 in the #2 business -- provides "professional pet waste cleanup and removal services" for everything from private yards to public parks. The Chicago franchise owners recently decided to give up their business for "personal reasons," said CEO Matt "Red" Boswell to the Tribune. "There are people out there who are willing to drop their pride," said Boswell, who also goes by "chief excrement officer." Franchises go for $60,000, and training is provided at "Poop University," a.k.a. P.U. Customers schedule poop pickups on "PoopNet," which provides frnachisee routes and cell phone updates. A full tour is available on the web site under the menu option "What We Doo." A map of Chicago area Pet Butlers is available here. Pet Butler's not the only pet pickup service in town, though. At least 30 operate in the area, including some with more colorful names like Ron Jon Poo B Gone.